As decision makers, the City Council had no choice but to embark on a city-wide reduction in force. We were forced to lay off good employees and shed jobs through attrition. Our human capital, the employees who made our city run, had to be pared down in order for our town to survive. These were dark times for Grass Valley. In 2012, the good citizens of Grass Valley voted for Measure N, thus increasing our sales tax by a half percent. Measure N came with a few conditions; it established a Citizen’s Oversight Committee to insure funding went to the police, fire and public works departments to fix our streets. Measure N also came with a 10-year sunset provision and a caveat that if pre-recession tax levels were hit, Measure N funding would stop. Over the past five years, Measure N funding has allowed Grass Valley to begin the long comeback from the Great Recession. The city has added five police officers, five firefighters, and repaired or replaced approximately 13 lane miles of pavement along with 39 new curb ramps and 8,500 square feet of sidewalks. The city has replaced older police and fire department vehicles including the purchase of three new fire engines. All vehicles and engines replaced were well beyond industry standards in age and/or mileage. As a member of the Citizens Oversight Committee, I can assure you each decision and purchase was thoroughly vetted to insure the parameters of Measure N were followed. If Measure E passes, the same dedication will apply. As great as Measure N has been for our community, it falls short of securing our future. Three things are abundantly clear: 1) The sunset provision would be disastrous if implemented. 2) A larger funding stream is required if we are to insure our first responders have a full complement of personnel to fulfill their mission. 3) Measure N does not supply enough revenue to keep pace with our pavement management and infrastructure needs. In order for Grass Valley Fire to truly meet its safety mission, the department should have Emergency Medical Technicians on board their trucks. This has been a long, overdue component of the department; especially when you consider the number of emergency calls far outnumber the calls for fire. Our community needs this service because it will save lives. Our police department went from 31 officers down to 20 as a result of the “Great Recession.” Measure N funding has brought back five positions. Obviously, we still need to add officers in order to effectively fulfill the police department’s mission. This is not a function of the crime rate, it is a need based on having enough officers to cover daily shifts and answering calls for service in a timely manner. Our public works department receives approximately $700,000 per year from Measure N funding and another $300,000 from gas tax revenues. Even though the city is fortunate to receive about $1 million per year, we are still falling short $400,000 to $600,000 per year. Unfortunately, this means our roads are deteriorating at a rate faster than the City can repair them. If we are ever to get ahead of the curve, the city must enhance its revenue stream. Measure E is the only feasible way for Grass Valley to obtain the additional funding to meet the above mentioned shortfalls. In addition to police, fire, and streets, Measure E will include funding for our city parks. Restrooms need replacing, ballfields need renovating, pool facilities need upgrading and barbecue areas need refurbishing. Measure E will help our parks become the assets they once were. Both young and old will benefit. Grass Valley is the business hub for western Nevada County. During the business week our town is crowded with shoppers who will contribute to Measure E funding, even though they don’t reside in Grass Valley. The same is true for tourists who visit on the weekends. This is a good deal for the residents of Grass Valley and we should capitalize on the opportunity. The true cost of Measure E translates out to 50 cents per $100 dollars spent on taxable goods and services. Isn’t that a small price to pay to insure our town has the funding it needs to serve and protect our community? Please vote yes on Measure E! 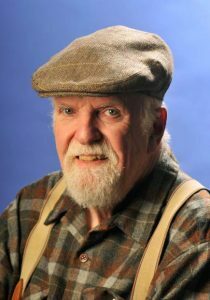 Chauncey B. Poston lives in Grass Valley.